Custom Text Line 2 ex. Will you help me tie the knot? 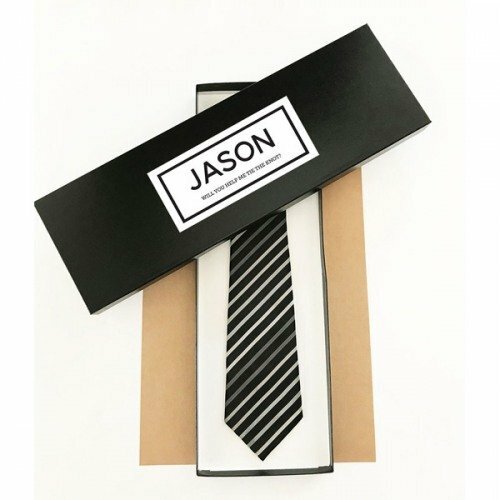 Personalized tie boxes make a unique way to package gift ties and tie clips for men in your wedding party, Father's Day, birthdays, and more! Black boxes come with a white label in your choice of "THANKS FOR HELPING ME TIE THE KNOT", "WILL YOU HELP ME TIE THE KNOT", or can be personalized with a name and custom text of your choice.